A video codec encodes digital signals so that media players can play videos correctly. Thus, media player error messages pop up when required codecs are missing for some videos that users try to play. Windows Media Player users will need to install a new codec to play specific video formats when either of the above error messages pops up. That’s pretty much the only fix for either of the above two WMP error messages. Or users can try out some alternative media players instead. How can I fix To play this video you need a new codec error? Windows XP or Vista users who are still utilizing the older Windows Media Player 11 version can select to download codecs automatically. Then an install codec prompt will appear when users try to play their videos, from which they can select to install the needed codec. So, selecting the Download codecs automatically option is one resolution more specifically for WMP 11. This is how users can select that setting. Open the Windows Media Player 11 video player. Click Now Playing and select More Options. Then select the Player tab. Select the Download codec automatically option on the Player tab. Windows Media Player 12 users can’t select a Download codecs automatically option on the Player tab. However, they can still configure the software to get more regular automatic updates. Select the Once a day option for the most regular updates. The A codec is required to play this file error will more likely arise for users who have not installed the K-Lites Code Pack. K-Lite includes all the most common media codecs, which will ensure that WMP can play most of the more standard video file formats. That codec pack was last updated in March 2019 (at time of writing). Therefore, installing K-Lite will probably resolve most WMP codec error messages. Click Download on the K-Lite Mega Codec Pack page to save the setup wizard for K-Lite. Then users can open the setup wizard for K-Lite from the folder they saved it to. Click Next and then select Simple mode to install K-Lite with the recommended defaults. Thereafter, users can keep on clicking Next until they get to Install option. Click Install to finish. However, if codec error messages still pop up even with K-Lite installed, users need to find a codec that enables playback for some more obscure video file formats. For that, the VideoInspector software might come in handy. 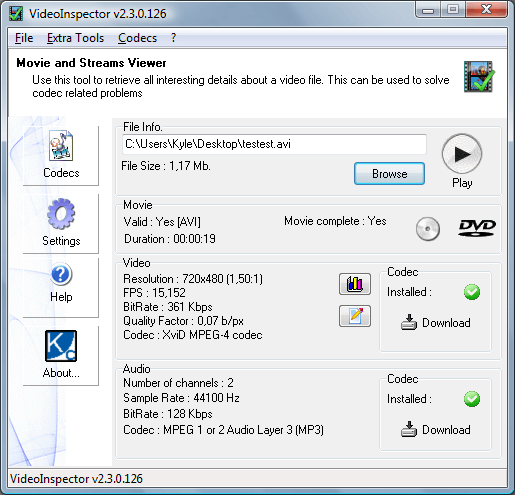 VideoInspector is freeware software the provides detailed info for videos. That software will tell users if the required codec for a video is installed and provide download links for codecs. Click Download on the VideoInspector page to get the installer for that software. Open the setup wizard for VideoInspector to add that software to Windows. Then open the VideoInspector window shown directly below. Click the Browse button to select the video that returns the A codec is required to play this file error message. The Codec box on that window will include a cross to highlight that a required codec is missing for the selected videos. Users can then click the Download link in that box to install the required codec. There are, however, better alternatives to WMP that can play almost all video file formats without users needing to manually install codec packs. Those are media players that include built-in codecs and are generally freeware software. So, who needs Windows Media Player? 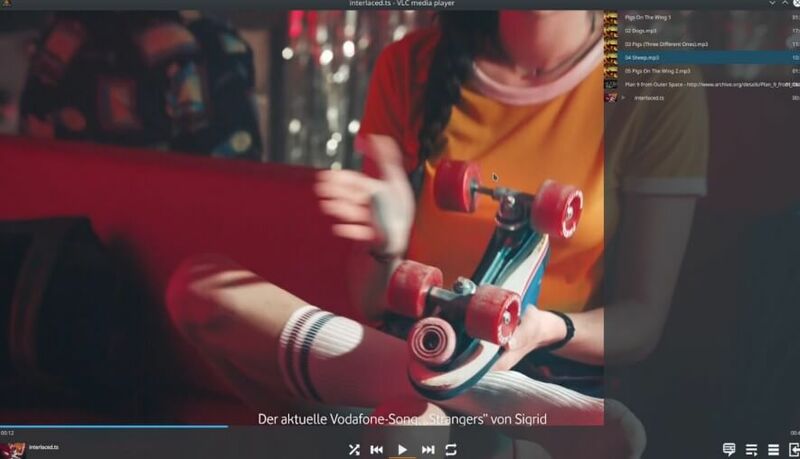 VLC is an open-source video player that lots of users turn to when they can’t play a video with alternative software. 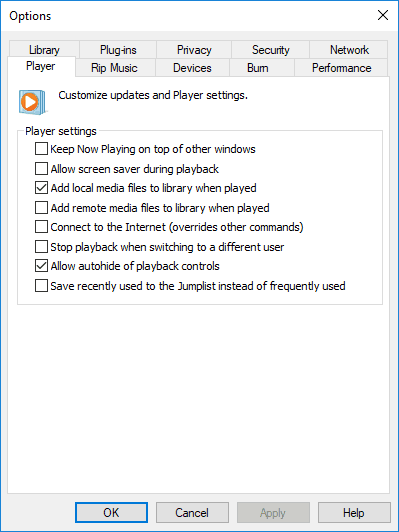 However, 5KPlayer and KMPlayer are two others that are almost universal media players. So, check out those media player alternatives to WMP, which Microsoft is phasing out in favor of UWP apps. Nevertheless, users who still love WMP can fix its codec error messages with the resolutions above. Check out the “5 best video codec packs” post for further Windows 10 codec pack details.